My Ultimaker 1 is becoming misaligned along the x-axis. I have checked the belts by loosening the motors, pushing down and tightening and by adding belt tighteners where required. I have also tightened the pulleys (although they are quite hard to reach!). I'm not sure if this is cause of my problem. If it is does anyone know of a solution? 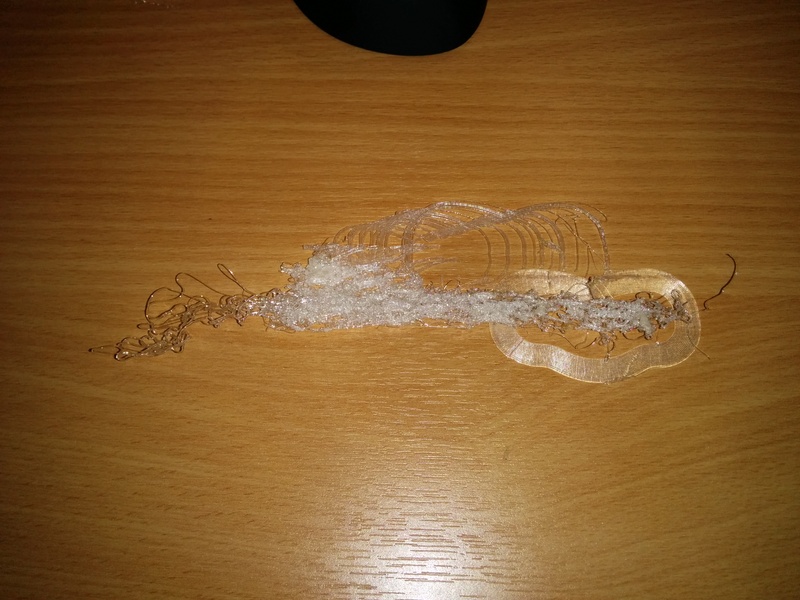 If this is shouldn't affect my print does anyone have other suggestions of what the cause might be? I think you were filming slightly above where the problem is. The belt is rubbing against the wood near the motor I think. Try putting one washer under each of the 4 motor mount spacers to move the belt a tiny bit farther from the wood and the problem should go away. If I am correct your prints probably tilt in the X direction (each layer skips a few steps so that each layer is placed a bit to the side of the layer below). Is that what you see when you print? Tilted prints? I'm afraid that the results are a bit more drastic than the tilted print photo. It is more like the shifted layers photo (3rd right). See an example of a belt tightener I tried to print below. I will try adding the spacers as suggested and report back. Ultimaker Cura 4.0 | Stable available! Ultimaker Cura 4.0 is mainly focused on the improved user interface and cloud integration. As always, we want to collect your user feedback for this release. If there are any improvements you can think of, feel free to mention it here and help us to shape the next release.